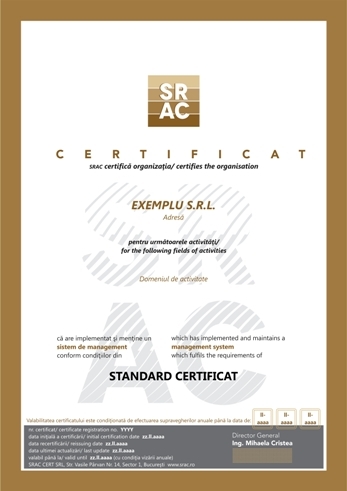 Unlike SR EN ISO 9001:2008 that addresses especially to the other economical areas, SR EN 15224:2013 is specifically tailored to the needs of healthcare providers: hospitals, inpatient and outpatient care facilities, doctors' offices, research and excellence centers, including educational system from the medical field. The requirements of this standard include the requirements of EN ISO 9001:2008, but they have an applicability that is specific for the health system (public or private) and they are founded on the key principles of the medical system: process approach, leadership, factual approach to decision making, assessment of patient’s satisfaction, requirement of the Ministry of Health that became obligatory starting February 2015 for hospitals. SR EN 15224:2013 also includes aspects related to clinical risk management, both for the reduction up to elimination of the malpractice cases, and for the preventive and adaptive management of the research activities in the research centers, university hospitals, and medical faculty and excellence centers. 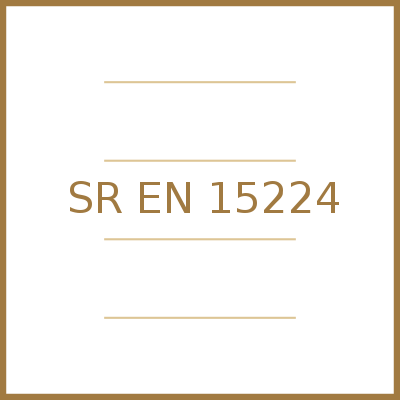 In other words, SR EN 15224:2013 covers the whole managerial area from the health care system, the scope being complementary and perfectly integrable with the performance indicators established by the Ministry of Health for hospitals, with the standards specific for hospitals’ accreditation, and with the requirements of Order 946/2005 regarding the internal financial control. The approach of health care management as system through the implementation of SR EN 15224:2013 allows the identification and management of medical, research and educational processes, as well as of the related support processes, contributing to the effectiveness and efficiency in achieving the objectives established by the management of the medical units. The continuous improvement of the global performance of the medical units as result of the application of the legal requirement and of the implementation of SR EN 15224:2013 should represent a permanent objective of the medical units as it would finally lead to an increase of the rating and to a better relationship with the National Health Insurance through its subsidiaries (CASMB, CASA OPSNAJ) when granting the score. The application of the principle of reciprocally advantageous relationships with the suppliers for the increase of their abilities to bring added value to the health system is essential for the coverage of all the contractual clauses of the medical laboratories of investigations with the National Health Insurance House. Development of the organizational abilities for the improvement of the key-performances through the use of a quality management system.